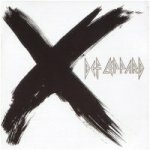 Def Leppard played a show on the X/Ten tour in Minneapolis, MN on 26th July 2002 and a fan review was sent in by Debbie. The show took place at The Quest Club. "They came out and rocked the place. "Now" went over well with the crowd, I was amazed to look around and see that so many people knew the words and were singing along, unfortunately I wasn't one of them. Joe looked up where we were several times as did Sav, I don't think Phil looked our way at all. It was so good to see them performing live, and worth every mile driven to get there."